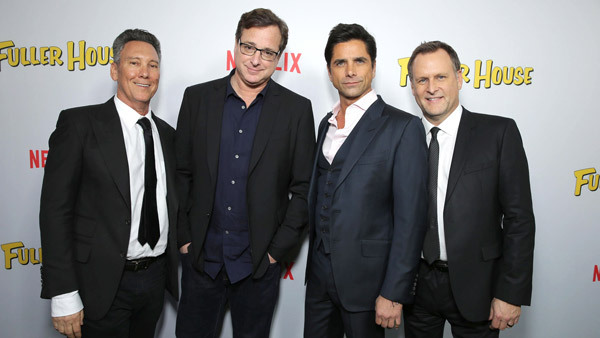 NEW YORK -- Producers of the Netflix remake "Fuller House" have fired the top executive behind the show amid charges about his behavior on the set. Warner Brothers Television said Wednesday that it would not renew Jeff Franklin's deal, without explaining why. Variety reports that there were complaints about him being verbally abusive to staffers and making inappropriate comments to the show's writers. There have been no accusations of sexual misconduct. Franklin's attorney, Stanton "Larry" Stein, says neither he nor his client have been told about what had been said that was deemed offensive. Besides working on the remake, Franklin was the creator of "Full House," the ABC show upon which it was based. Netflix says that it hopes to go into production for the show's fourth season in the next few months.